Vietnam builds the market economy from the planned economy, in which development plans, especially the medium-term socio-economic development plans, were determined by the leading economic management tools. 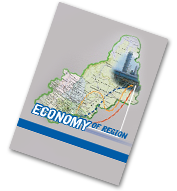 Currently, the development plans remain the important tools of economic management. However, the contents and methodologies for development planning have changed considerably. The plans have been built according to the direction of the market and consider macroeconomic forecasts as the most important input for planning. The purpose of this paper is to briefly present the structure of a macro-econometric model for medium-term socio-economic development planning in Vietnam. The model is based on the main ideas of the forecasting procedures and the system of forecast models for strategic planning in the Russian Federation. Furthermore, the model utilizes the experience of macro-econometric models in other countries. This model is based on the approaches of supply and demand, and is organized into blocks that have a close relationship to combine forecasts from the built model and using judgmental methods in a favourable way. The model can fully forecast the needs of socio-economic development planning. It is also used to build forecast scenarios and to assess the impact of shocks and economic policies.